Monaco with its posh hotels, fancy restaurants, luxury shops and lavish casinos, is not just for the rich and famous. And while a parent or two may shudder at the idea of taking their toddlers and lively youngsters to Monte-Carlo, the Principality of Monaco is actually one of the most family friendly destinations on the French Riviera. Don't let visions of the Roll Royce and Ferrari crowd hunkering for peace and quiet dissuade you. An individual state, Monaco is a unique family travel destination on the French Riviera. Don't let the country's size fool you. 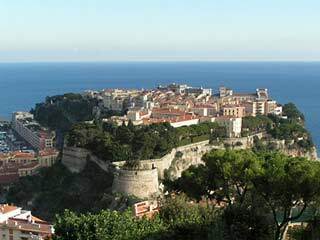 At less than 200 hectares and just over 32,000 citizens, Monte-Carlo is small but it's hardly insular. Thanks to the country's no tax policy, the Principality of Monaco counts residents of over 100 nationalities. And its one of the few places on the Riviera where you won't feel uncomfortable if you can't speak French. English and even Italian are widely spoken here. Ruled by the Grimaldi family since 1297 when Francois Grimaldi, disguised as a monk, seized the fortress and occupied the rock of Monaco, it was Prince Rainier III and his American wife, former Hollywood film star Grace Kelly that secured Monte-Carlo's allure. The antics of their children Princesses Caroline and Stephanie as well as Albert II, the current Prince of Monaco, kept gossip columnists busy for decades and further enhanced Monte-Carlo's intrigue. Yet what makes family travel to Monaco fun is the plethora of child-friendly attractions. Beaches and pools, both private and public, cater to kids. Not only do they have designated play areas, many offer free or cheap entertainment in summer. The city's parks, free and extremely well manicured, offer refuge to families traveling with tots. And whether the kids prefer automobiles, model boats or dolls, area museums provide an alternative to the sun. Don't forget to visit of the Prince's Palace and observe the changing of the guards! So if you are keen to rub shoulders with the rich and famous and take in breathtaking and unique tourist sights, Monaco is just the place. Copyright 2007 Helen Misseri. All rights reserved. Helen Misseri is the founder of www.familyfirst.fr, a bilingual, English-French, website dedicated to family and child oriented activities and information in France.